The Delhi government is ready to roll out the odd-even scheme if air pollution levels persist in 'severe plus' category for 48 hours, Transport Minister Kailash Gahlot said today. 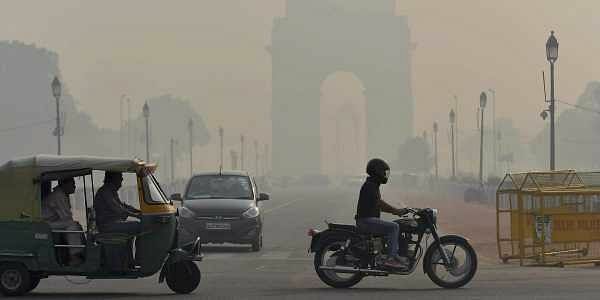 DELHI: The Delhi government is ready to roll out the odd-even scheme if air pollution levels persist in 'severe plus' category for 48 hours, Transport Minister Kailash Gahlot said today, asserting two-wheelers will be exempt if the road rationing measure comes into effect. Gahlot told PTI that he had directed the Delhi Transport Corporation (DTC) to hire 500 buses on a short-term basis and the Delhi Metro Rail Corporation (DMRC) has been asked to procure 300 buses to handle the rush if and when odd-even scheme is launched. The AAP government has asked IGL to keep 1.5 lakh stickers ready for CNG-run vehicles which would also be given exemption during the odd-even scheme. Gahlot held a meeting with top officials of the Transport Department, DMRC, DTC, Delhi Integrated Multi Modal Transport System (DIMTS) and the divisional commissioner regarding preparations for odd-even scheme. "The Delhi government is ready to roll out the odd-even scheme if air pollution levels persist in 'severe plus' category for 48 hours," he said. "The DTC has been ordered to float a short-term tender to hire 500 buses to accommodate public transport till March. The Delhi Metro has also been asked to hire 300 buses for 10-15 days to handle the rush in case odd-even comes into operation," the minister said. Two wheelers will be exempted from the scheme like the last two phases of the odd-even rationing scheme, Gahlot said. "But the number of exemption categories will be very limited this time. Around 5,000 civil defence volunteers would be deployed to manage the vehicles. Around 400 ex-servicemen will also hired to execute the scheme if it is implemented," he said. A decision on whether or not to implement the odd-even car-rationing scheme would be taken tomorrow, sources said. The scheme, based on the last digit of registration number of vehicles, was implemented twice in 2016--from January 1-15 and April 15-30. Under the scheme, odd and even numbered vehicles ply on alternate days. The toxic haze hanging over Delhi today thickened, leading to near zero visibility at many places, even as air quality slid further and touched calamitous levels. The air quality index of the Central Pollution Control Board (CPCB) had a score of 487 on a scale of 500, indicating 'severe' levels of pollution, which can affect even healthy people and "seriously impact" those with existing diseases. PTI BUN VIT AAR .